I love Pinterest. You can see that here. But he won’t be laughing tonight because I’m making this. They love Lasagna Soup and the weather turned cold enough that it just seems like the right thing to make tonight. Speaking of Pinterest. . . did you know that just “pinning” something doesn’t actually make it magically appear in your home? Someone should get on that. It would be so much easier. So, I saw this pin recently. 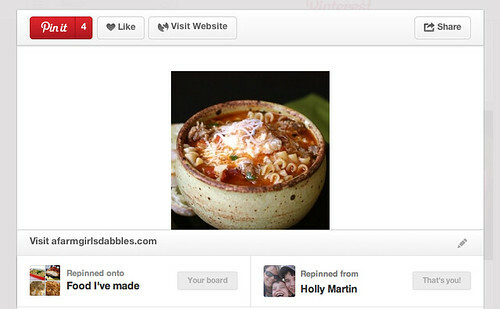 Iheartorganizing.blogspot.com is a great blog. I’ve read her blog for a while now because maybe there’s something to this learning by osmosis thing. 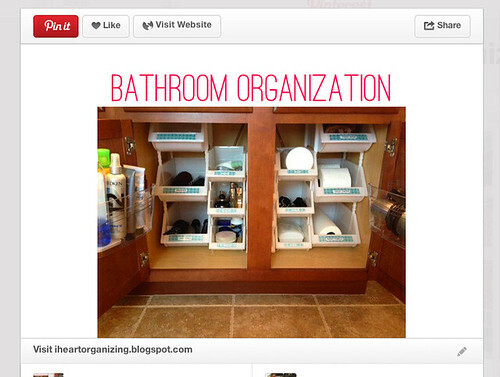 If she’s organized and I read her blog then I’ll be organized too, right? Right? Back to this photo. If you saw underneath my bathroom cabinet, you’d cringe in horror. I took the plunge and bought a couple of plastic drawers. Now, to actually have the time to go through my stuff and see if I can make some sense of organizing that one tiny little spot in my home. I’ll keep you posted, but a word to the wise – don’t hold your breath.